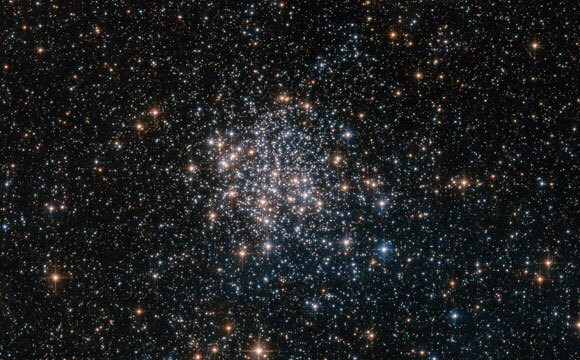 This newly released Hubble image shows the globular cluster NGC 1854, a gathering of white and blue stars in the southern constellation of Dorado (The Dolphinfish). NGC 1854 is located about 135,000 light-years away, in the Large Magellanic Cloud (LMC), one of our closest cosmic neighbors and a satellite galaxy of the Milky Way. The LMC is a hotbed of vigorous star formation. Rich in interstellar gas and dust, the galaxy is home to approximately 60 globular clusters and 700 open clusters. These clusters are frequently the subject of astronomical research, as the Large Magellanic Cloud and its little sister, the Small Magellanic Cloud, are the only systems known to contain clusters at all stages of evolution. 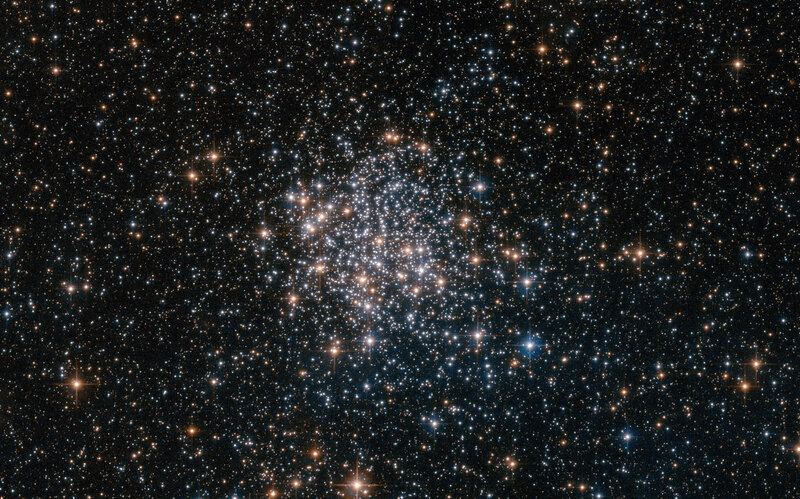 Hubble is often used to study these clusters as its extremely high-resolution cameras can resolve individual stars, even at the clusters’ crowded cores, revealing their mass, size and degree of evolution. Be the first to comment on "Hubble Image of the Week – The Stars of the Large Magellanic Cloud"